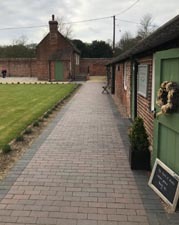 Sudbury Courtyard is a recently restored range of historic buildings, previously the Estate maintenance yard, now open as retail shopping outlets and a cafe in the heart of Sudbury village. 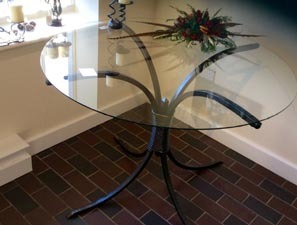 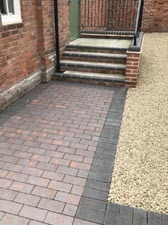 Using traditional, authentic materials was very important to the developers in order to retain the atmosphere of this beautiful rural Estate set in the Dove Valley of South Derbyshire. 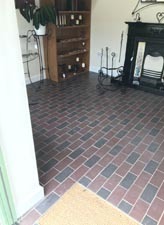 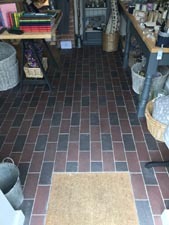 They used both Staffordshire blue and Staffordshire brown brindle quarry tiles and sealed them which has the effect of darkening the colour.